Fresh English Sweet Peas are a special treat, and when Carl Musso starts picking and delivering local peas to Tony’s, I eat them several times each week. In need of a change, I wanted to make English Mushies (mashed peas), but with only two cups of peas, I tossed in a potato and and viola! 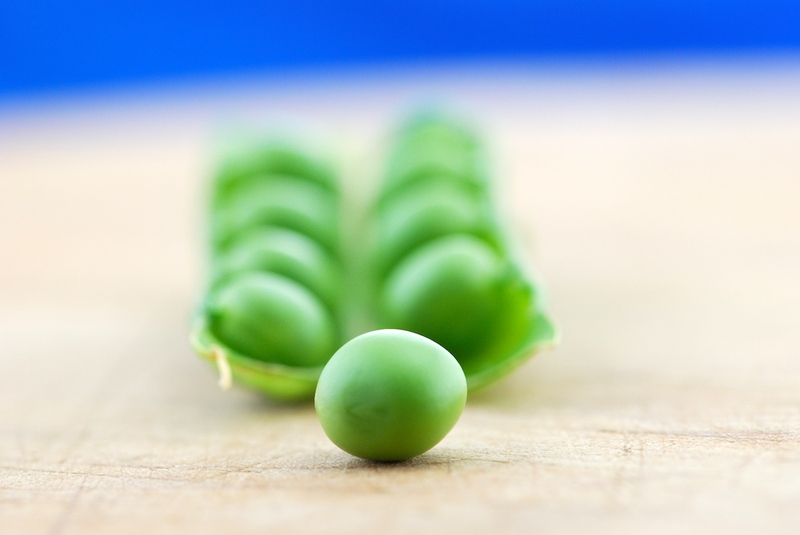 Shuck peas, peel and cube potato – place in a saucepan with stock and bring to a boil. Cover, reduce to a simmer and cook until soft and most of the moisture is gone. 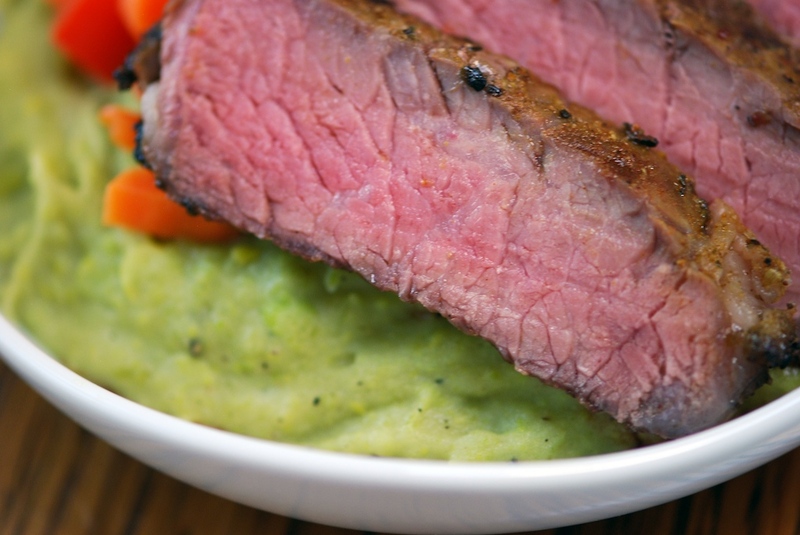 Grilled Rib Eye Steak rubbed in Tony’s Steak and Roast Seasoning, grilled to medium rare and served over Pea-tatoes with cubed carrots and red bell peppers. Next time I’ll smother the steak in sauteed onions – a good excuse to do make them again! Cheers! Thanks for the recipe. I am a lover of peas and am glad to now have this recipe. Thanks. Thanks – I hope your family loves it! 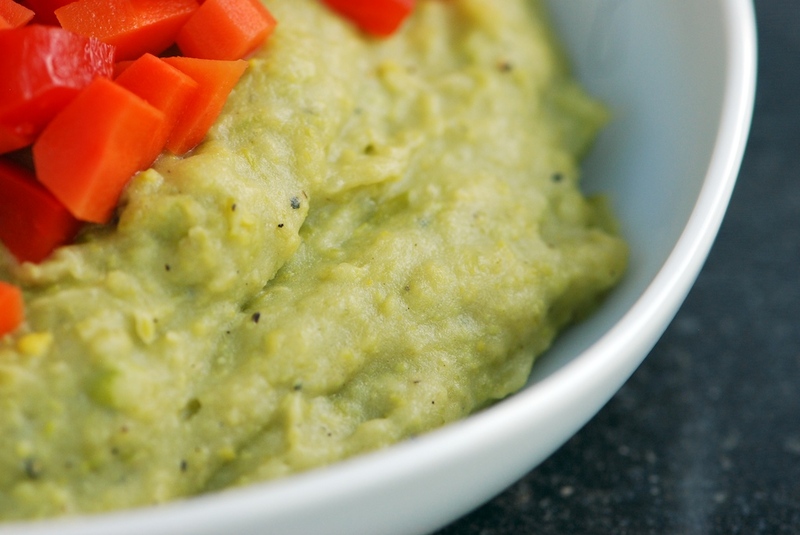 I am a huge fan of peas and there are a number of other recipes on the Tony's Website at http://www.TonysMarket.com. The season doesn't last long; we're getting them from Musso's in Pueblo now and we should have organic from Grant Family Farm in Wellington next week – sometimes some from the mountains after that – cheers!